The development of calendar was considered to be one of the important achievements by the Mayans. The calendar was prepared on the basis of celestial movement of objects in the sky. The Mayan calendar was regarded to be almost precise. This shows that the level of understanding and knowledge Mayan people had of our sky. 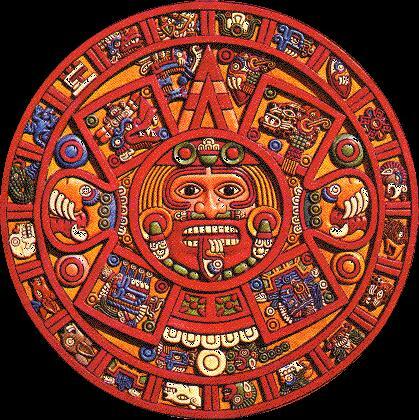 The calendar developed by the Mayans was also adopted by civilizations like the Aztecs and Toltecs. Mayans had developed three dating systems for the calendar, the Long Count, the Tzolkin and the Haab calendar. It is said that of all the systems, Haab had a direct relationship to the length of the year. The Long count included Kins(days),Winals(20 day month),Tuns(360 days),K'atuns(20 tuns) and Bak'tuns(20 k'atuns). Tzolki'in was a 260 day calendar and is the oldest calendar cycle known whose origin can be traced back to 600 BC. The cycle is observed even today by the descendants of the ancient Mayans in the Highlands of Guatemala and Chiapas. In the cycle, 13 numbers are paired with 20 day names in such a way that one day will not re-appear until all the numbers and days have completed the 260 day cycle. Tzolk'in and Haab combined together gave a Calendar Round date. The date will recur after 52 Haab' years. The Haab calendar is similar to the Christian calendar with 365 days cycle. One difference is that Haab calendar does not have a Leap Year. Haab calendar was in use until 100 BC. Haab calendar consisted on 18 months of 20 days and the last month only had 5 days. The Haab cycle months were- Pop(Mat), Uo(Frog), Zip(Red), Zotz(Bat), Tzec, Xul(Dog), Yaxkin, Mol(Water or Jade), Chen(Cave or Well), Yax, Zac, Keh, Mac, Kankin, Muwan, Pax, Kayab, Kumku and Wayeb. Mayans also used Year Bearers, a calendar comprising of 52 years. This calendar had four basic characteristics- Ik, Eb', Kaban and Manik. Mayans have used the calendar as a base to construct temples, pyramids, buildingss and palaces. One such example is that of the pyramid of Kulkulkan at Chichen Itza. Mayan calendar also included Supplementary series. The series are glyphs that were taken from inscriptions dating back to the Classic period. Important elements of the series were Lords of the Night, a 9 day cycle wherein each night is said to be ruled by one lord of the underworld and the Lunar series. In the Post Classical period, Long Count was replaced by Short Count. The short count consisted of 13 katuns and each katun was named after Ahau, its concluding day. The short count cycle was counted from katun 11 to katun 13. Venus cycle was other important calendar used by the Mayans. The astronomers calculated the cycle precisely and recorded it in Dresden codex. Since Venus could be seen both during the day and night times it was also known as 'The Evening Star' and 'The Morning Star'. Mayans related Venus with war and so strategized their wars when Venus rose.